Produces many seeds which have a short lifespan of 1 – 2 years. Seeds are large, hard and sharp, with bristly awns up to 6 cm long. Unaffected by legume cover, shrub presence, or altitude. Seeds do not germinate at high temperatures and low soil moisture conditions. 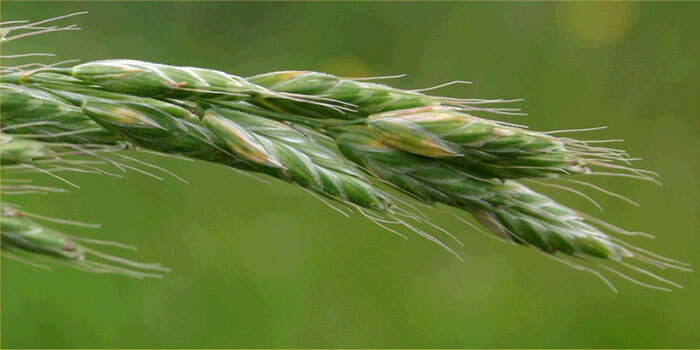 Can host a wide range of serious cereal diseases. Seeds also reduce the value of wool and damage animal hides. Wool and meat products can be downgraded as a result, and affected lambs may have reduced growth rates. 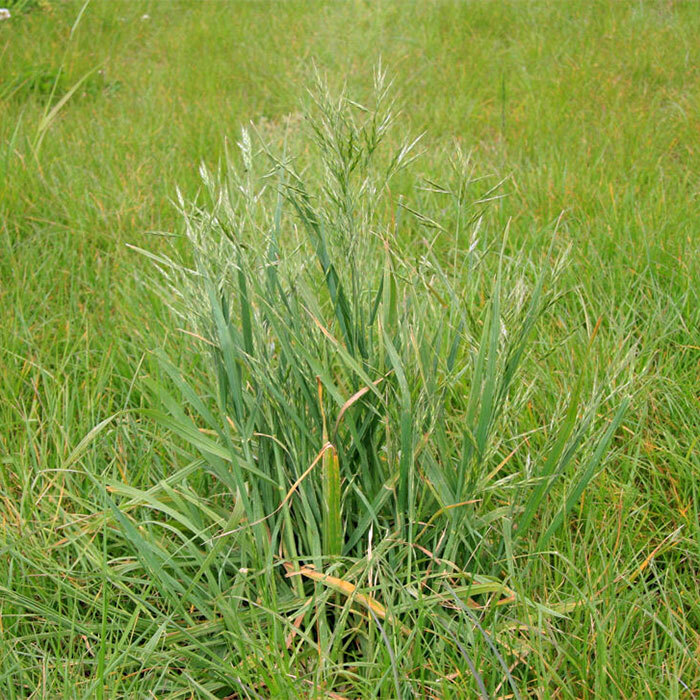 Palatable during its vegetative stage and early in its growing season, ripgut brome can provide good forage until it flowers. 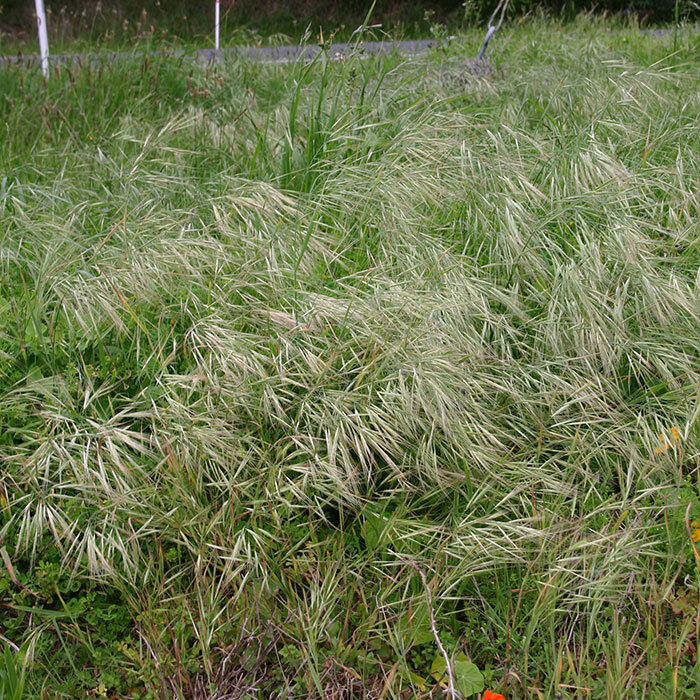 Herbicides such as glyphosate can be applied to small localised patches. However, this leaves bare ground in which weed seeds can germinate. 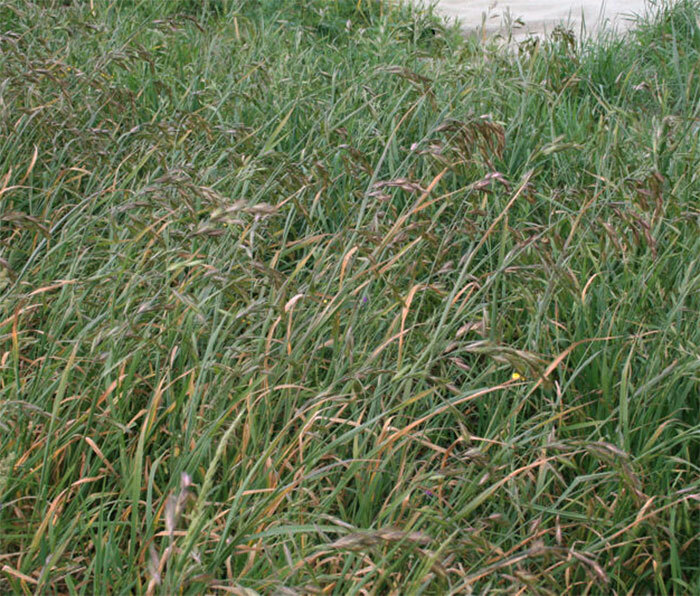 Oversowing with desirable pasture species can help in preventing further weed invasion. 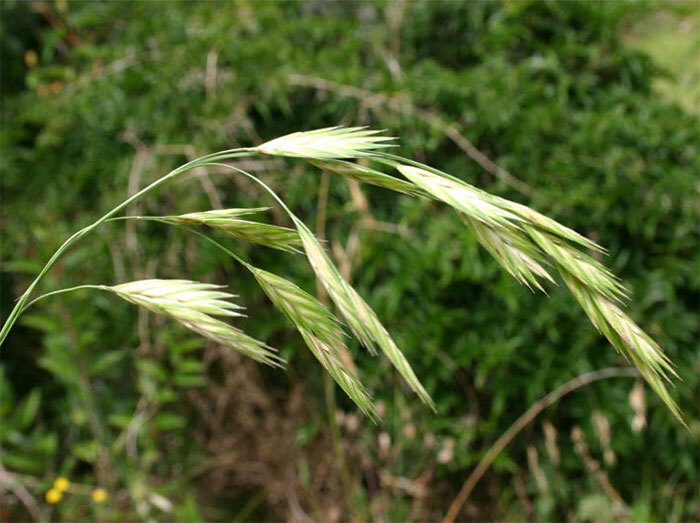 A very common annual grass 10-100cm high, found in many pastures and in waste places. 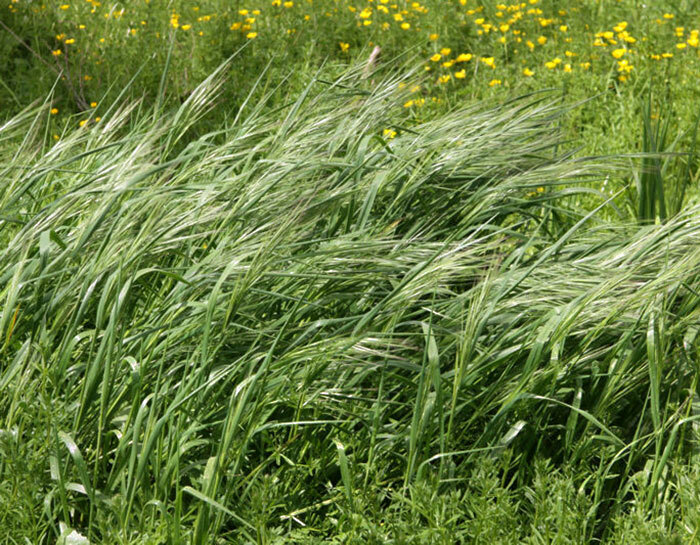 Soft, leafy grass that is readily grazed. 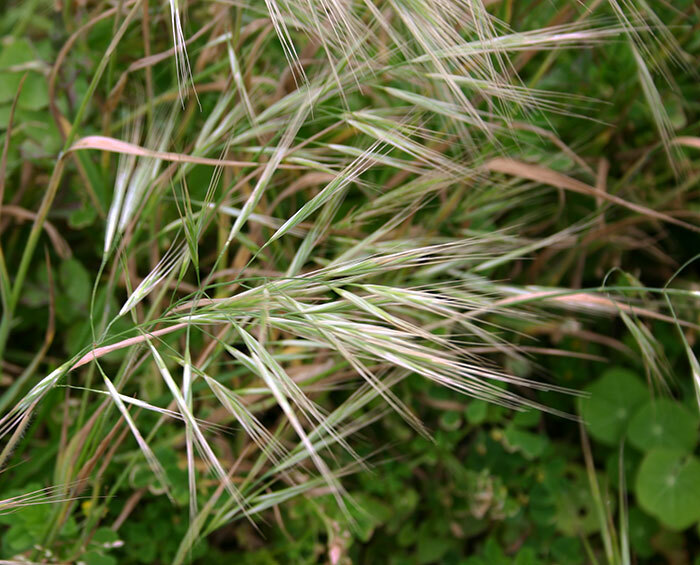 A coarse, tufted perennial grass 30-120 cm tall, found in pastures, along roadsides and in waste places. Improved cultivars of this species are available. Gill GS, Poole ML, Holmes JE 1987. Competition between wheat and brome grass in Western Australia. Australian Journal of Experimental Agriculture 27: 291-294. Kon KF, Blacklow WM 1989. The biology of Australian weeds 19. Bromus diandrus Roth and B. rigidus Roth. Plant Protection Quarterly 4: 51-60. Marshall A 2014. 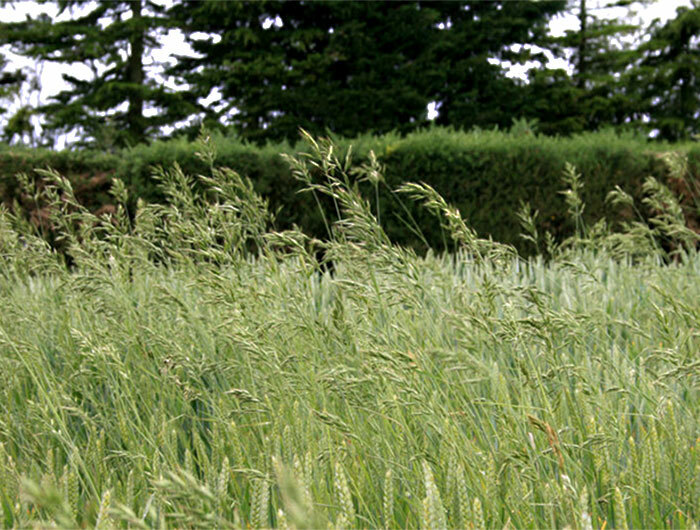 Ripgut brome management. Lincoln University. 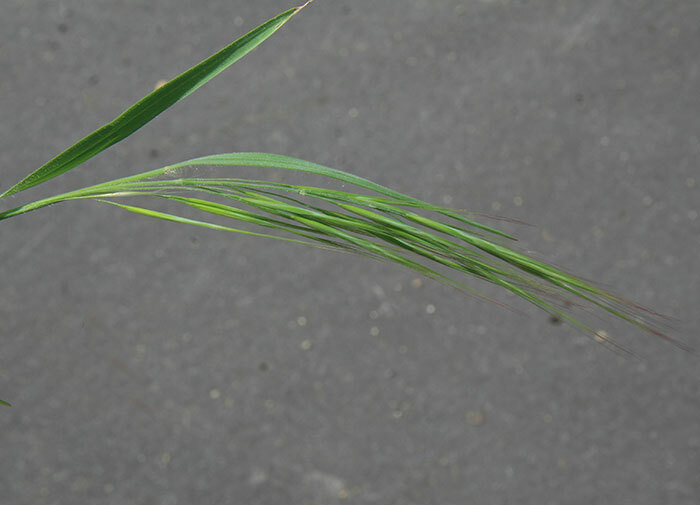 Ripgut brome management brochure (accessed 4 August 2014). Tozer KN, Marshall AJ, Edwards GR 2008. Methods of reducing ripgut brome seed production and carcass damage. Proceedings of the New Zealand Grasslands Association 70: 265- 269. Tozer KN, Marshall AJ, Sedcole JR, Edwards GR 2007. Ripgut brome (Bromus diandrus) distribution in relation to topography and management on seven high country properties in the South Island. New Zealand Plant Protection 60: 168-173. Young S. 2012, New Zealand Novachem Agrichemical Manual. Agrimedia Ltd, Christchurch, New Zealand.